Snow boarding at Blackcomb Terrain Park in winter - a skiing-area in Whistler, British Columbia, Canada, North America. Snow boarding, Blackcomb Terrain Park, winter, Whistler, British Columbia, Canada, North America. 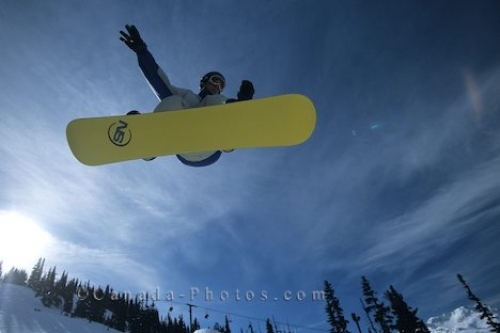 Photo of a jumping snowboarder at Blackcomb Terrain Park in Whistler, British Columbia, Canada, North America.